walking 200m below. The installation streams live footage from cameras on the roof of Canary Wharf. 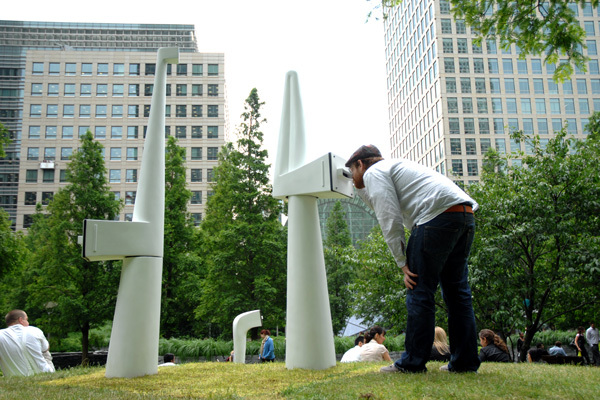 As you move the ‘Skyscope’ you control the orientation of the camera and your view of London. 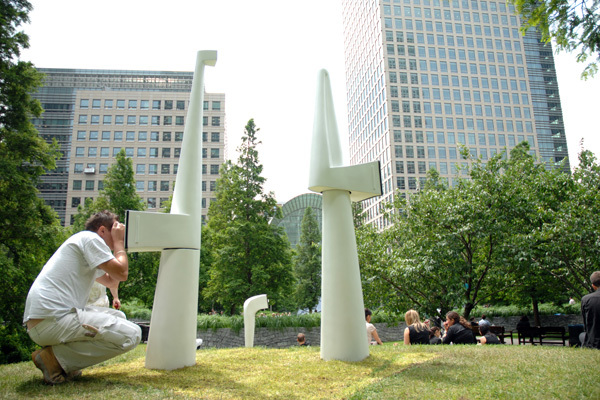 This allows you to take a fresh look at London, the theme of the London Festival of Architecture this year. 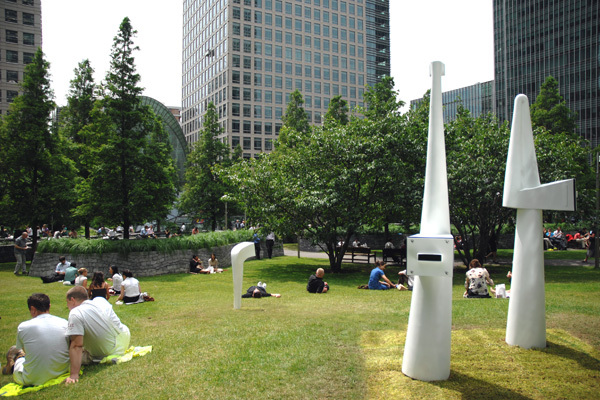 The ‘Skyscopes’ have been commissioned by Canary Wharf Ltd and have been created by design consultancy Superblue. ActionTimeVision has delivered the technology solution. See more of ActionTimeVision work at www.actiontimevision.co.uk. click on Architecture Week for more events around London. Catch up on news, ideas and past projects. Superblue aims to have fun with our world. The Superblue team; who are they and where did they come from? Superblue are commercially insured by Simply Business.